LUBBOCK, Texas - Ford Motor Credit Company on Friday filed a request in court to remove bankruptcy protections from what’s left of the Reagor Dykes dealerships. As of the time of this news item, a judge has not yet ruled. Ford filed a document in bankruptcy court that said a reorganization plan was promised but has not been provided. Ford also said any reorganization plan is “unconfirmable” even before it is ever filed. Reagor Dykes companies filed for bankruptcy on August 1 with more RD companies filing in November. RD has used Ford’s money and vehicles to stay in business under Chapter 11 bankruptcy. Ford lays out the case that without Ford’s money and inventory, RD cannot continue operations. On top of that, Ford also claims a lot of other RD property as collateral. For a time, it looked like the dealerships would be sold at auction in November to the KamKad Automotive Group or to any other company that wanted to outbid KamKad. However, the deal fell through. At about the same time, the McDougal-Dykes-Ewing Group came forward with a proposal. 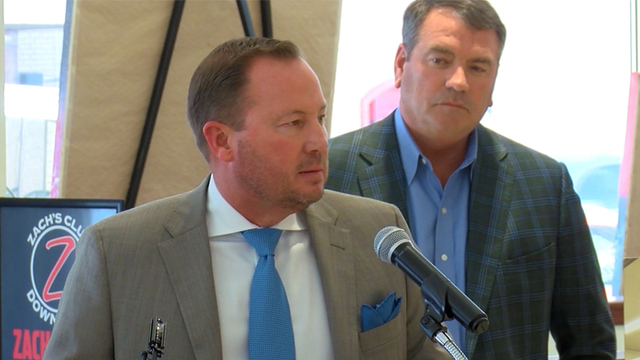 It involved former Lubbock Mayor Marc McDougal, Dallas area businessman Fin Ewing, and current RD partner Rick Dykes. Ford raised objections to the rough draft of the proposal in part because it would settle any liability of Mr. Dykes and Bart Reagor. Ford said Reagor Dykes will likely file a plan, but it won’t be good enough under federal bankruptcy law. Right before RD filed for bankruptcy, Ford accused RD of outright fraud. Ford accused RD of defaulting on roughly $40 million of debt, and Ford repeated the allegations of fraud on Friday. The total debt to Ford is roughly $112 million. Local banks have accused the Reagor Dykes companies of a form of bank fraud called check kiting. Court records also accused former RD Chief Financial Officer Shane Smith of making false financial statements. CLICK HERE to read the McDougal-Dykes-Ewing Group memo that Ford introduced in bankruptcy court as evidence.